Want to heat things up this winter? You’re in luck because I’ve got 17 warm and fancy crockpot drinks just in time for the chilly weather. I am always amazed at the different ways people use their crockpots. Today’s list of crockpot drinks is no exception. Read on and find the perfect crockpot drinks that win over winter. Every time I hear how someone made hot chocolate using their slow cooker, I always get a sense of, ‘Now why didn’t I think of that?’ And then I came across this wide array of yummylicious warm and simmering crockpot drinks being shared by wonderful bloggers all across the Internet, which put me in a festive mood to throw a party. They also inspired me to think of what other great warm crockpot drinks I can come up with as the weather gets even colder and it’s time to cuddle up in front of the fire. Am I getting you excited? Then don’t miss any of these 17 crockpot drinks for fall and winter! Enjoy! Want to greet holiday guests with a steaming mug of rich winter hot chocolate? This recipe, whether you make it on the stove top, in the microwave, or in a crockpot, is exactly what you need to stay warm during chilly nights. My crockpot is really one of my life’s little pleasures, so there’s no last-minute rush once I slowly simmer this crockpot apple cider. This crockpot drink is on the top of my list come winter. This isn’t your ordinary cup of joe! Dress it up with chocolate curls, whipped cream, and other goodies, making this crock pot Viennese coffee a joy to savor! This spiced cherry cider is so comforting to sip after being out in the cold. It’s filled with sweet apple cider and spiced with cinnamon and cherry gelatin. The flavors are perfectly blended, making it a perfect drink during winter. 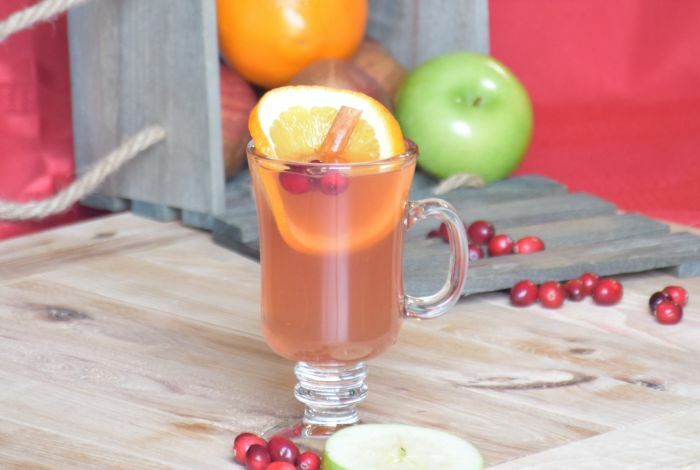 Bottoms up with this crockpot hot spiced apple cider! This warm, robust cider chases away the chill of cold fall evenings….and also perfect for winter holidays, too. This is a description! Two thumbs up! This crockpot mulled Dr. Pepper is the perfect warm drink for neighbors or friends visiting on a chilly evening. Serve it with a ham sandwich and deviled eggs, to make the evening even cozier. 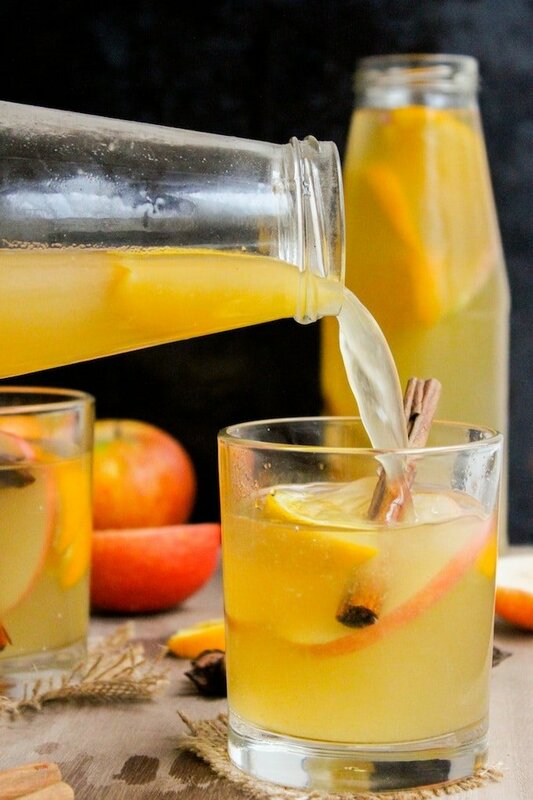 This spiced Ambrosia punch puts a unique twist on ordinary spiced cider punch you love. It’s super easy to make and everyone will enjoy the apricot and peach flavor. 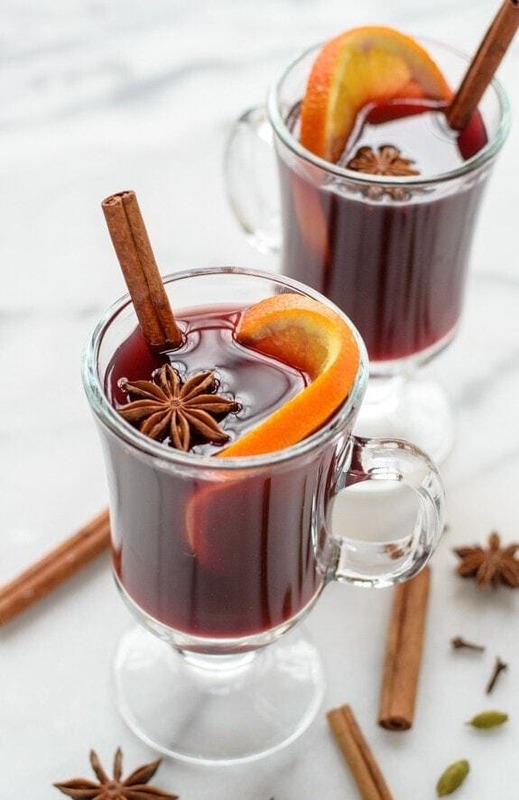 My family, friends, and I just love this crockpot spiced wine during winter gatherings. A special warm drink that’s deeply satisfying for people who love and enjoy red wine. If you want something special to serve on a chilly winter night, try this warming mulled pomegranate crockpot drink. It has a subtle tea flavor, and is mixed with juices that strike the a right balance between sweet and tart. During the winter season, my husband and I share a cup of this soul-warming spiced pear cider outside by the fire pit. Our homestead smells great while the cider is simmering. This is the perfect season for you to try it too! I have this vanilla pumpkin spice latte brewing in my crockpot at my annual homestead Christmas party. And everybody loves the perfect combination of vanilla and pumpkin. 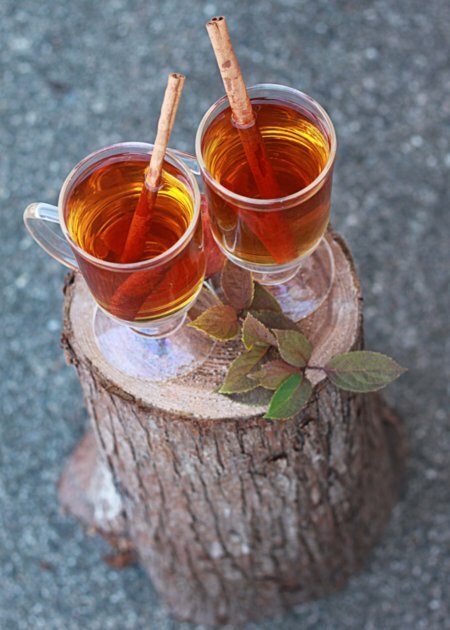 I love this rosy spiced drink, perfect for family gatherings during the winter. 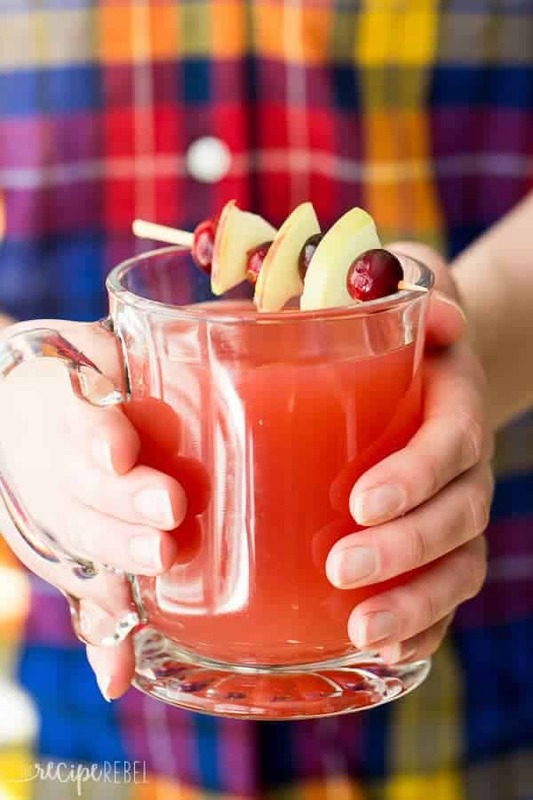 Family and friends will surely love the tangy twist of this crockpot cranberry apple cider. It’s an interesting change from the usual hot chocolate. 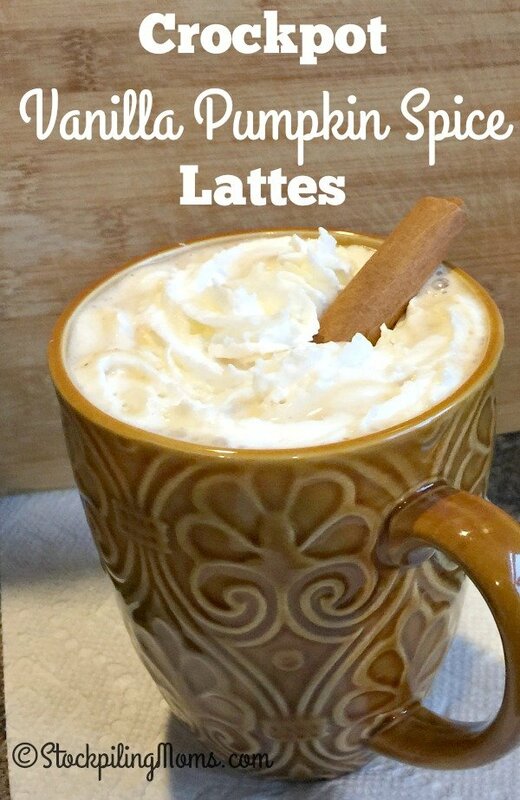 The spicy sweet aroma wafts from the slow cooker as this delightfully flavored crockpot Chai spice white hot chocolate cooks is wonderful. I’m totally itching to make this now! Planning for the perfect holiday? 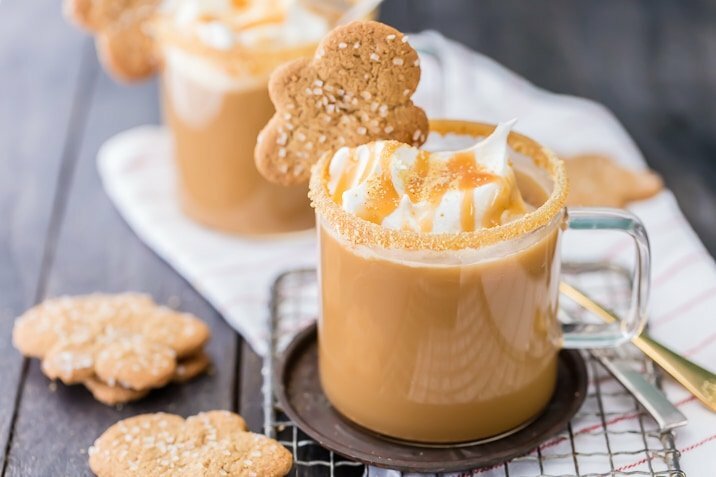 Then this crockpot gingerbread latte is your best friend. As the finishing touch, offer a selection of flavored whipped creams. A wonderful substitute for traditional apple cider! This crockpot pear cider is perfectly spiced, a pear-flavored beverage that will warm everyone from head to toe. Buffets are my favorite way to feed my guests. This fruity crockpot apple pear cider can be made ahead and kept warm in your slow cooker, so once your guests arrive they can serve themselves. Made with fresh fruit and seasonal spices, I’m pretty sure everyone will love this. I first tasted a steaming mug of this crockpot cranberry orange cider on a frigid winter evening. Since then, it’s been my family’s favorite comforting beverage. No matter what the weather is, there’s always a special comforting drink to beat it! 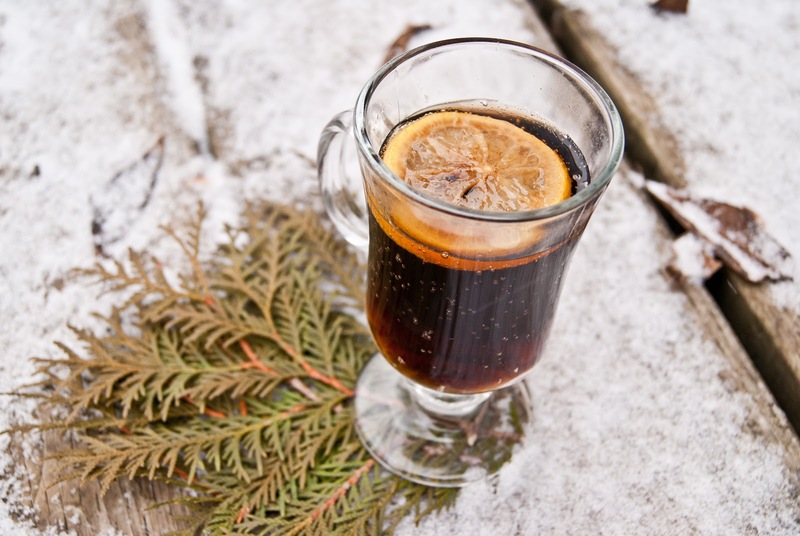 Use this list to find the perfect drink to enjoy and savor during cold winter nights. Just don’t forget to add you personal touch to make it even more special. Which of these crockpot drinks are you planning to try? Let us know your thoughts in the comments section below!